Want your roof to weather the storms? Call 480-226-4245 today for a free estimate. Looking to restore the integrity of your existing foam roof? 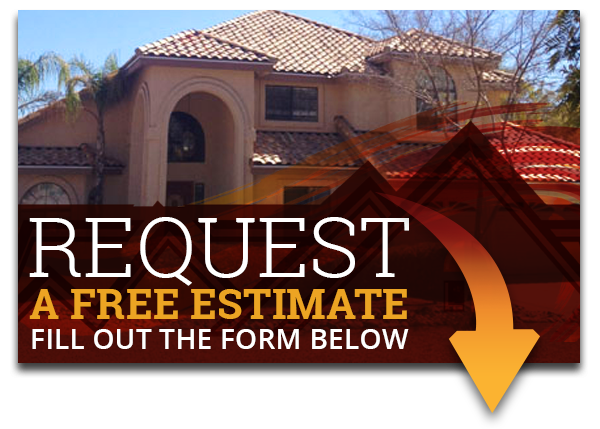 Contact Express Roofing for immediate service in Mesa, Chandler, Gilbert, Ahwatukee, Tempe, Phoenix, Scottsdale, Fountain Hills, Paradise Valley and Sun City areas. There are multiple options available for flat or low-sloped roofing. Facility and property managers, as well as building owners, can face uncertainty in choosing the best roofing system. As we are one of the Valley’s few foam roof restoration experts, allow us to inspect your foam roof or rolled roofing projects. 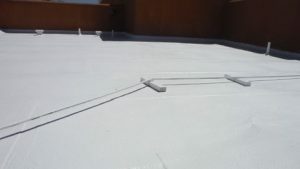 We provide elastomeric roof coating and five-ply restoration services. Our proposals using these solutions are known to save customers thousands of dollars, eliminating the high costs of demolition and disposal. There are no surprises in our foam roof restoration proposals. We will explain the entire process, and all items will be well documented. In some cases, the existing roof deck may need to be cut out in certain areas, either to replace plywood or fill in the existing roof. We know that in this industry, it is common for contractors to spray one heavy coat; if it is over the required amount, an application of this type can create small spiderweb cracks throughout once the coating is cured. Our applications will ensure that the roof surface is smooth and properly reinforced. 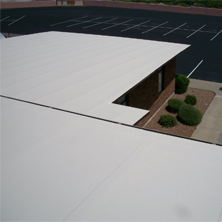 An elastomeric roofing generates a uniform, seamless surface that remains flexible. It remains flexible at low temperatures and contracts and expands with changing weather conditions. 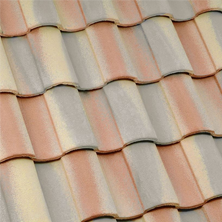 This protects the roof’s surface from the sun’s damaging rays. This enables the coating to handle the continuous thermal stresses during the lifetime of the roof. 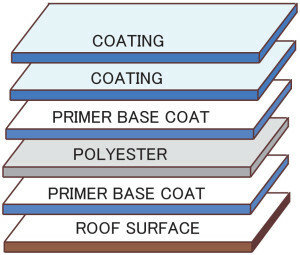 The characteristics enable the coating to remain connected to the roof when it is wet or when it is extremely windy. This coating employs technology that assists in maintaining energy saving qualities and a bright, clean appearance. 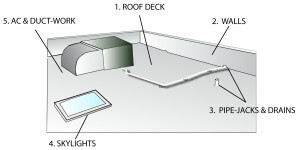 Prior to foam roofing applications, the roof deck is swept clean of debris. We also use a roof deck cleaner to bring up dirt and oils from the deck. Two coats of our premium coating are applied at a rate of 3 gallons per 10’x10′ area, each passing in alternating directions to ensure excellent coverage. Walls: At points where the roof deck terminates at the walls, we use a heavy acrylic gel to seal the metals. Pipe-jacks, drains, scuppers, and other protrusions are reinforced with polyester and acrylic gel. The elastomeric coating will protect these seals from harmful UV rays. We also reinforce any cracks or splits in the roof deck using this method. For some roof decks with existing rolled roofing, we use what is called the three-course method to seal any cross-laps or seams. This means 4″ to 6″ polyester and heavy 100% acrylic gel is used to reinforce these areas. Skylights are sealed on all sides using acrylic gel and polyester webbing as part of our foam roofing restoration service. The bases and curbs of air conditioners are sealed with acrylic gel and polyester webbing. If necessary, we can also install new 2″ x 4″ redwood blocks under the AC unit, conduit lines, and PVC piping in order to keep them off the roof deck and secured in place for any future service work. The five-ply system has gained respect throughout the country. Rene, the owner of Express Roofing, has been familiar with the five-ply system since 1978 and believes it is the best approach for foam roof restoration. Using this system, we start off in the same way as an elastomeric coating. A cleaner is used on the roof deck to bring up dirt and oils, and power-washing takes place. Our intensive detail work comes next, sealing around all penetrations, including pipes, scuppers, and skylights. We use heavy 100% acrylic gel as a sealant, which will act as UV protection and remain pliable throughout its life; it will not crack over time like lesser grade sealants. Our five-ply foam roof installation system can adhere to virtually any existing roof except tar and gravel. After the detail work is complete, two coats of heavy grey primer are applied at a rate of 1 1/2 gallons per 10’x10′ area for a total of 3 gallons per 10’x10′ area. Polyester mesh fabric is embedded in this primer, and this application will be the base membrane. This base membrane will be protected by two coats of elastomeric coating applied at a rate of 1 1/2 gallons per 10’x10′ areas, for a total of 3 gallons. These two coats will act as UV protectant for the base membrane. You can picture our five-ply system completely encapsulating your roof. With a 5,200 PSI tensile strength, this strong material will expand and contract, relaxing to its original state. 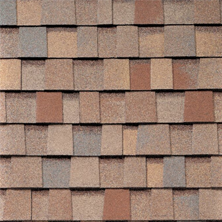 With the initial investment, our five-ply system will be the last roof you will ever need. There are no maintenance worries until the tenth year; at this point, it will be necessary to clean and power-wash the roof, and apply two coats of elastomeric coating to ensure the base membrane is protected. A simple recoat like this will be needed in five-year increments thereafter. Make sure your roof is up to quality standards. Don’t wait until the problem becomes irreversible—call 480-226-4245 to schedule an appointment today.